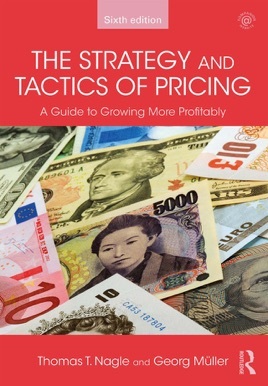 The Strategy and Tactics of Pricing explains how to manage markets strategically and how to grow more profitably. Rather than calculating prices to cover costs or achieve sales goals, students will learn to make strategic pricing decisions that proactively manage customer perceptions of value, motivate purchasing decisions, and shift demand curves. Major revisions to almost half of the chapters, including an expanded discussion of big data analytics and a revised chapter on "Specialized Strategies", which addresses timely technical issues like foreign exchange risks, reactions to market slumps, and managing transfer prices between independent profit centers. A completely rewritten chapter on "Creating a Strategic Pricing Capability", which shows readers how to implement the principles of value-based, strategic pricing successfully in their organizations. In-chapter textboxes, updated to provide walk-through examples of current pricing challenges, revenue models enabled by an increasingly digital economy, and advances in buyer decision-making, explained through classic principles that still apply today. Chapter summaries and visual aids, which help readers grasp the theoretical frameworks and actionable principles of pricing analysis. 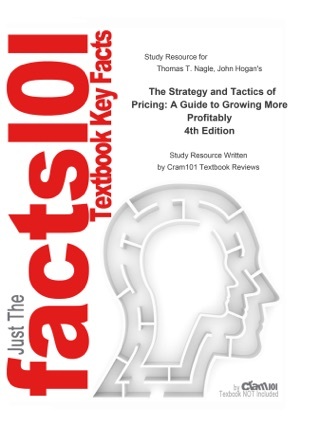 This comprehensive, managerially-focused text is a must-read for students and professionals with an interest in strategic marketing and pricing. A companion website features PowerPoint slides and an instructor’s manual, including exercises, mini-cases, and examination questions.